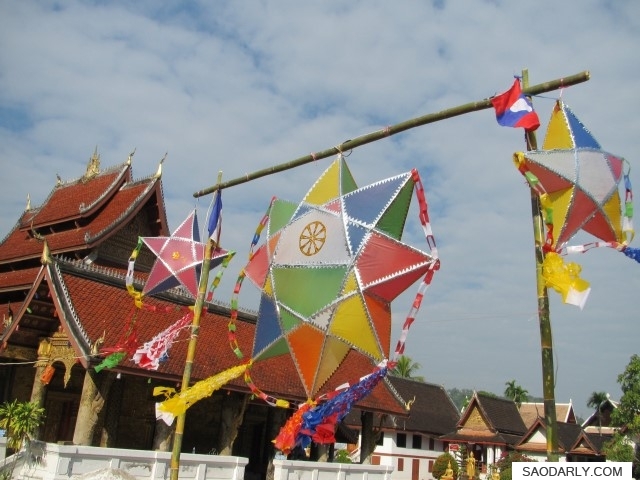 Wat Mai Suwannaphumaham (Wat Mai) is quite beautiful and was at the top of my list to visit for Boun Ok Phansa or End of Buddhist Lent Festival. 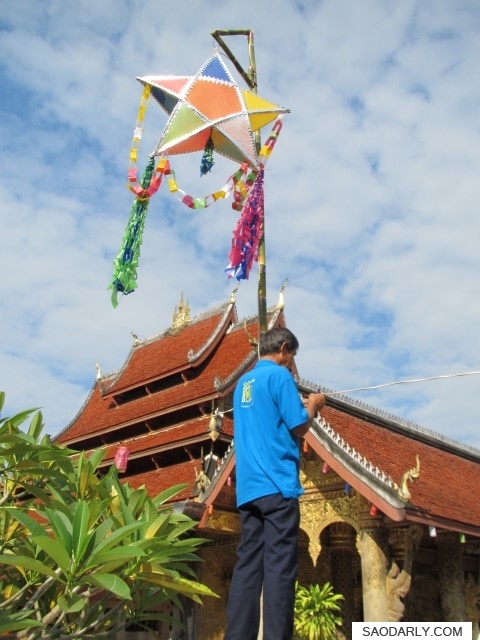 I’ve seen some photos posted of the decorations at Wat Mai during the night time and I wanted to be there to see the preparation from the start to finish. 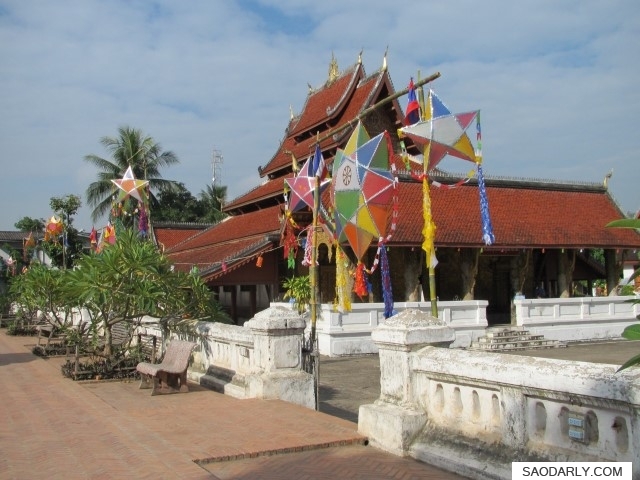 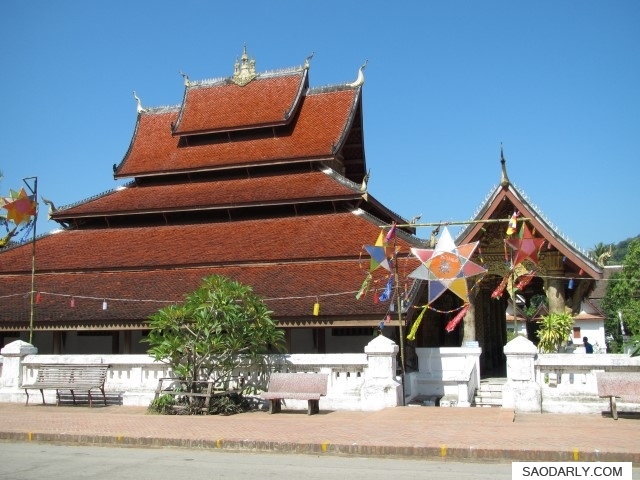 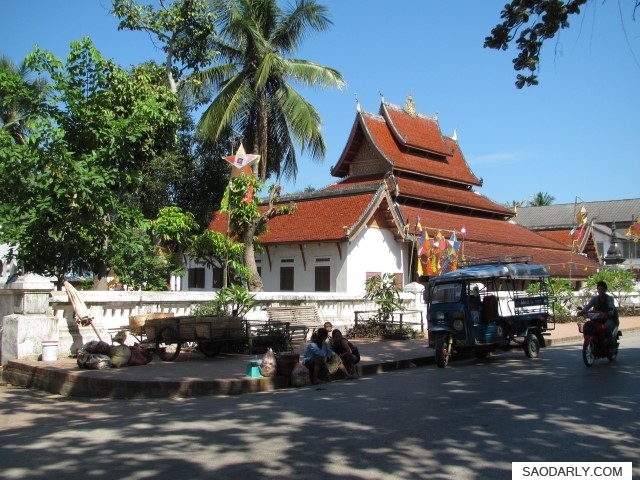 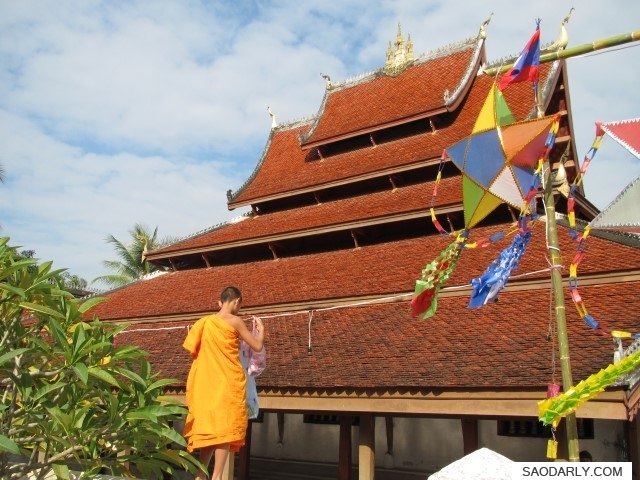 It’s quite easy to find Wat Mai, which is located at Ban Pakham and on the main street of Luang Prabang. 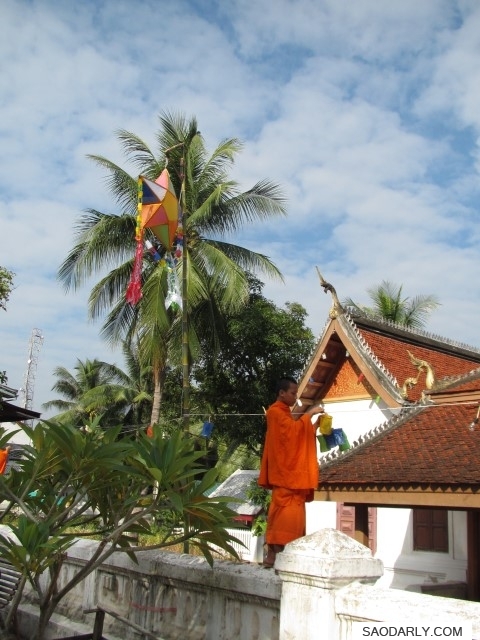 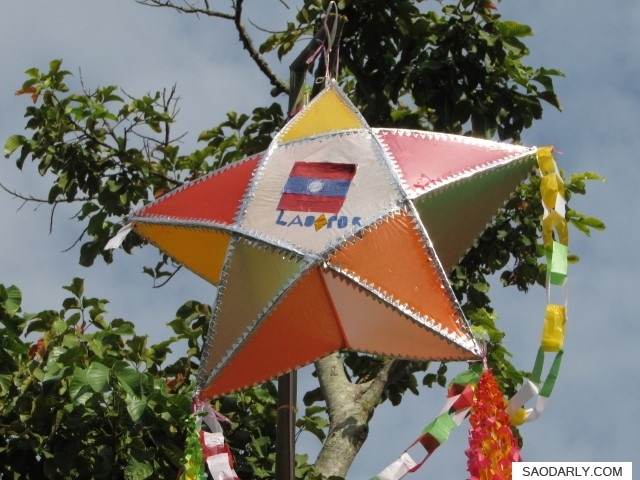 I was fortunate to see the beginning of lighting decorations as I was on my way to the morning market.